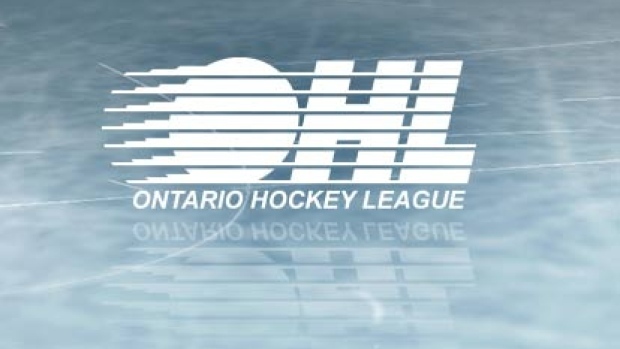 OTTAWA — Tye Felhaber scored twice in the third period and the Ottawa 67's earned at least a point in a 23rd straight Ontario Hockey League game by beating the North Bay Battalion 5-3 on Sunday. Mitchell Hoelscher, Sasha Chmelevski and Hudson Wilson scored in the first period as Ottawa (22-3-4) built up a 3-0 lead. The 67's are 19-0-4 in their last 23 games and haven't lost in regulation since an Oct. 3 defeat in North Bay. The Battalion (11-15-2) were close to halting Ottawa's streak, with three straight goals from Brad Chenier, Adam McMaster and Luke Moncada tying Sunday's game midway through the second period. 67's goaltender Cedrick Andree stopped 40 shots. North Bay's Christian Propp made 27 saves. FLINT, Mich. — Keeghan Howdeshell scored a hat trick as Sault Ste. Marie topped the Firebirds. Alex Johnston and Morgan Frost also scored for the Greyhounds (17-7-5). Jake Durham had two goals for Flint (3-24-2) and Ty Dellandrea had the other. GUELPH, Ont. — Cam Hillis and Keegan Stevenson each scored twice as the Storm downed Kitchener. Cedric Ralph, Daniil Chayka, Barret Kirwin and Dmitri Samorukov provided the rest of the Guelph (14-7-6) offence. Alexey Lipanov had the lone goal for the Rangers (12-14-2). HAMILTON — Kirill Maksimov had two goals and Ivan Lodnia scored on a penalty shot as Niagara beat the Bulldogs. Jason Robertson and Bradey Johnson also scored for the IceDogs (16-7-4). Brandon Saigeon provided the offence for Hamilton (13-14-1). LONDON, Ont. — Adam Boqvist had a goal and an assist and Antonio Stranges registered the eventual winner midway through the third period as the Knights doubled up Sarnia. Liam Foudy, Josh Nelson, Evan Bouchard and Alec Regula also scored for London (20-4-2). Franco Sproviero led he Sting (12-13-4) with a pair of goals and Ryan McGregor had the other. SUDBURY, Ont. — Ukko-Pekka Luukkonen stopped all 28 shots he faced as the Wolves blanked Mississauga. Blake Murray's two goals led Sudbury's (17-8-2) offence, while Owen Gilhula, Quinton Byfield, Drake Pilon, David Levin and Owen Robinson chipped in as well..
Jacob Ingham turned aside 25 shots for the Steelheads (14-12-2). OSHAWA, Ont. — Luke Boka scored twice as Windsor downed the Generals. Kyle McDonald had the winner and Daniel D'Amico also scored for the Spitfires (14-13-2). Jack Studnicka responded scored for Oshawa (17-9-2). Windsor's Nathan Staios was given a game misconduct for checking to the head at 6:14 of the second period.